The best thing about fall is the food. The harvested veggies are fresh, the pumpkin spice craze is in full swing and Thanksgiving is just around the corner. Few meals compare to the richness of a roast turkey dinner, complete with mashed potatoes, roasted brussels sprouts, and a savoury gravy. The components of this dinner are all pretty inexpensive, except for that bird of course. Turkeys can cost an arm and a leg (maybe a wing and a leg) so I thought I’d fill you in on some ways to nab one for free this year. You have to pay real close attention to their flyers, but every once in awhile, around a month before a holiday that calls for turkey, Real Canadian Superstore gives away a free turkey when you spend over a certain amount in store. Usually, it’s about $250. What I suggest, is stocking up on bulk items that you use and will buy eventually anyway: toilet paper, laundry detergent, toothpaste, etc. That way, you can get up to the $250 mark and grab your free turkey, and not have wasted any money on things you don’t need. Some stores have a promotion where you buy a turkey and get one free. Go in on this with someone and either halfsies for the first turkey, bringing your expenses for Thanksgiving dinner down near half, or see if you can find someone to just give you the second turkey at no charge. Find a turkey farm, and offer to do some work for them in trade. They give you a turkey, and you can do up their website, perhaps do some manual labour or offer special skills they might need, like electrical work, furnace repair, car maintenance, etc. You’d be surprised how often people don’t just say yes to the opportunity to complete a transaction in trade, but actually get excited about it. 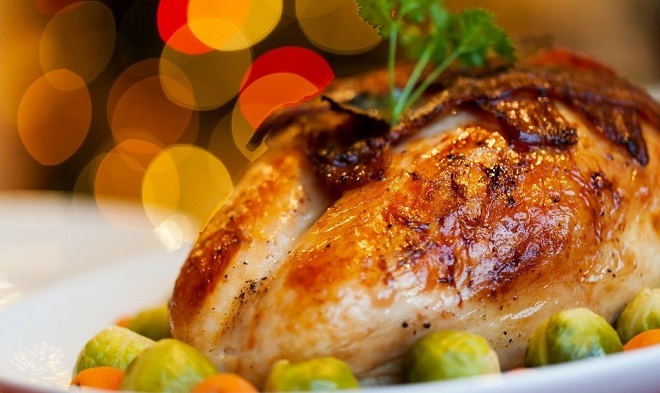 Right around Thanksgiving and the holidays, there are countless contests giving away turkeys. Find some near you, and enter. 5. Raise your own bird! While this isn’t necessarily free, as you do have to feed the bird to raise it, but the costs are spread out over time. It’s more affordable. Just don’t fall in love with the ugly fella. Have you ever gotten a turkey for free? How did you manage it? Let us know in the comments!